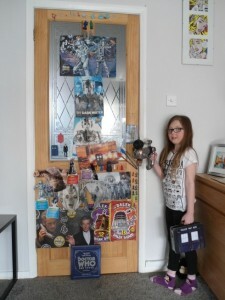 Project Dalek began in the spring with Lex (Aka – Charlie!) suggesting we – using the Royal We – construct a Dalek for her to play with – one big enough for her to climb in and operate from the inside! This reminded me of my childhood when I dreamt of getting up on Christmas day to find a Dalek in my bedroom or in the hallway. 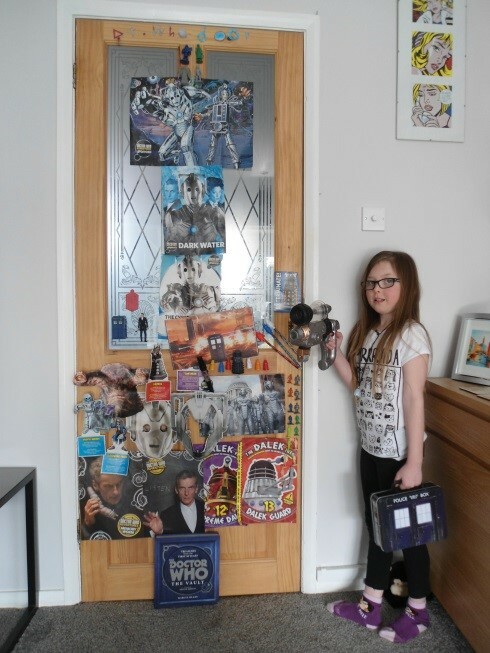 Like many children of my era and my own daughter – many years later – I loved the adventures of Dr Who and had a particular fascination with the Daleks. I was raised at a time when we got excited about a Satsuma, a Banana and couple of bars of chocolate in a sock hung on the bedpost and one special toy from Santa. Anyone of a similar age and background will know what I’m talking about! 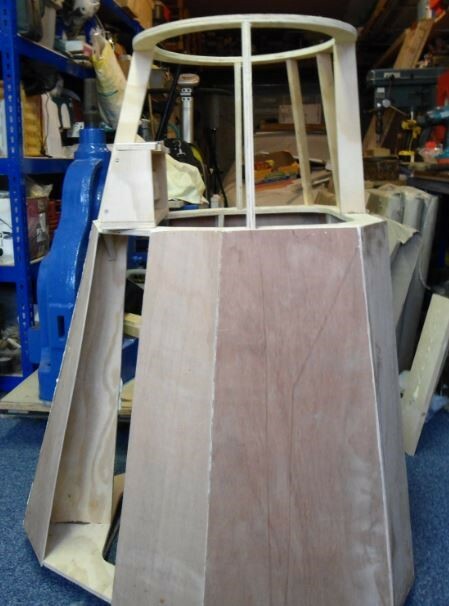 I never did get any sort of Dalek – so I grew up without one, but when the suggestion was made to build one, something stirred, un-reluctantly, in the childhood memory part of my brain. The persuasion needed wasn’t the usual mind bending psychology of a lifelong salesman my young daughter normal employs to twist me around her little finger – I just agreed! 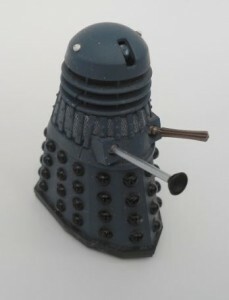 We started by measuring up the small toy Dalek (albeit missing the eye!) she had and measuring her height, plus a little for growth, to make a scale replica. We also had her Dr Who memorabilia to refer to, which showed a range of designs that had appeared over the years – an array of slight variations I hadn’t realised. After a few sketches I decided to make three frames, one each for the top, middle and bottom and join those sections of plywood. Lex came up with the idea of the very top being made from a laundry basket – an excellent idea. I found some old furniture castors in the garage and we fitted three to the base for mobility. It was decided to fit a door in the back for entry and covering for the lower section came from the packaging of 3mm plywood used to protect some roof lights fitted to our house recently. Lex did a lot of the holding while I did the cutting of the framing sections, using a jigsaw. The frames are held in place with spacing formers made out of 15mm ply – as are the frames. 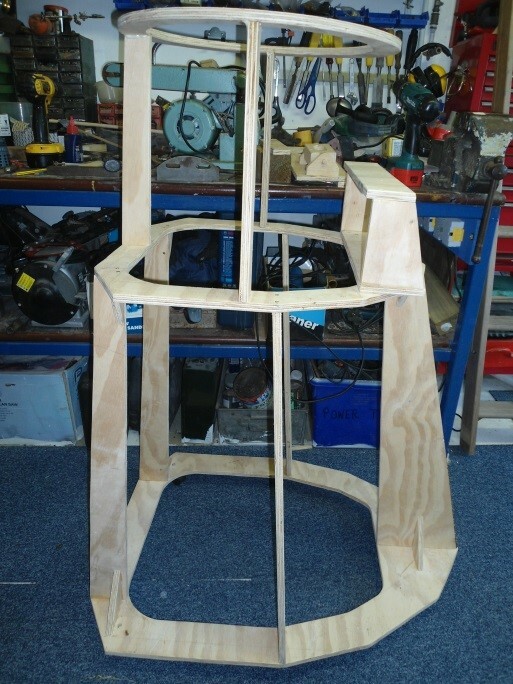 We attached the variously shaped thin ply sections to the frame using 15mm panel pins and glue – which at times got a bit messy! It took several weekends to get to something recognisable but gradually the Dalek took shape. Lex picked the sink-plunger weapon to use in a local DIY store and we made a bracket so it pivots side to side and up and down. For the lights on top, which look a bit like ears, I used a pair of old trailer lights I’d had hanging around for years. I converted them to LED lights instead of 12V bulbs, using a piece of copper clad circuit boa rd. Lex chose the colour and soldered in the LED’s – three in each. Of course Dr Who travelled in time – like Charlie Green and his special aeroplane – and Lex and I have had many conversations whilst building the Dalek about time-travel and where we’d go, given the chance. Where would you go? Next time I’ll have more news on the build including the electrics.